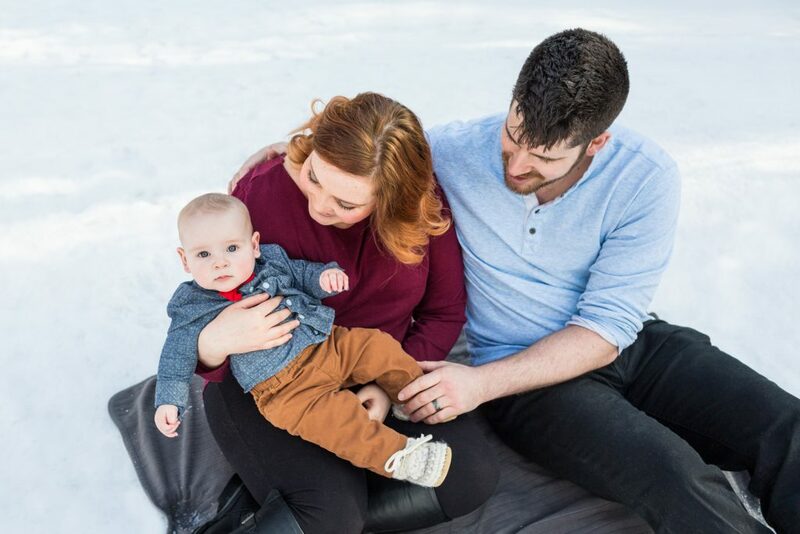 Edmonton winter family photos are not for the faint of heart. 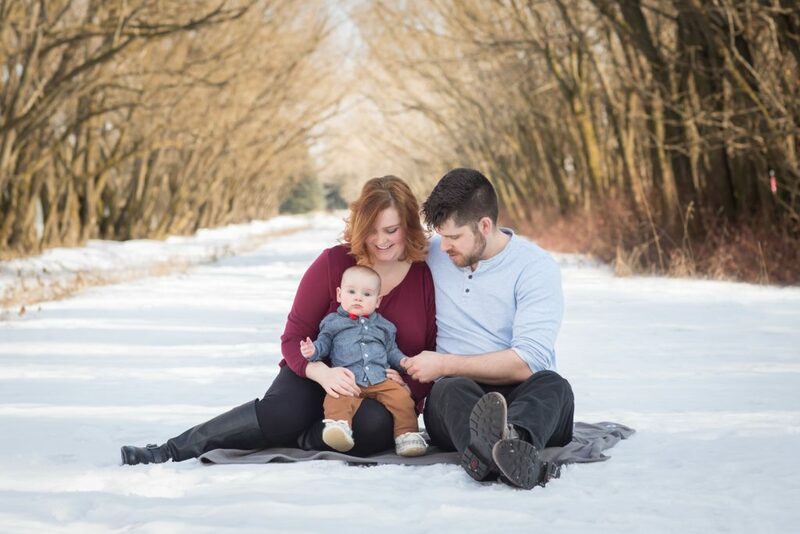 Thanks to an early taste of spring we were able to capture some beautiful wintery family portraits with Sarah, David and their beautiful son, Jack. We first met Sarah, David and their darling dog Merry back in 2015 when we photographed their gorgeous winter wedding at Fort Edmonton Park. A lot has happened in a couple of years, including the birth of their son, Jack. 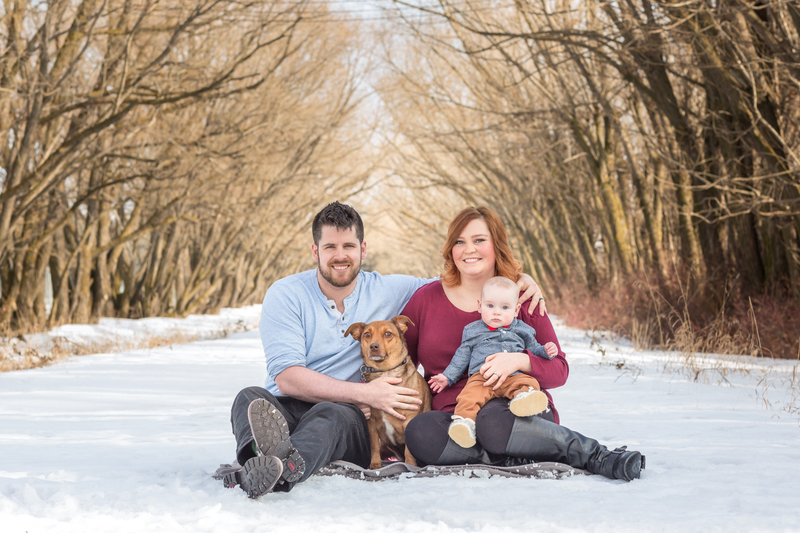 This beautiful family met us one sunny afternoon for some Edmonton winter family photos. 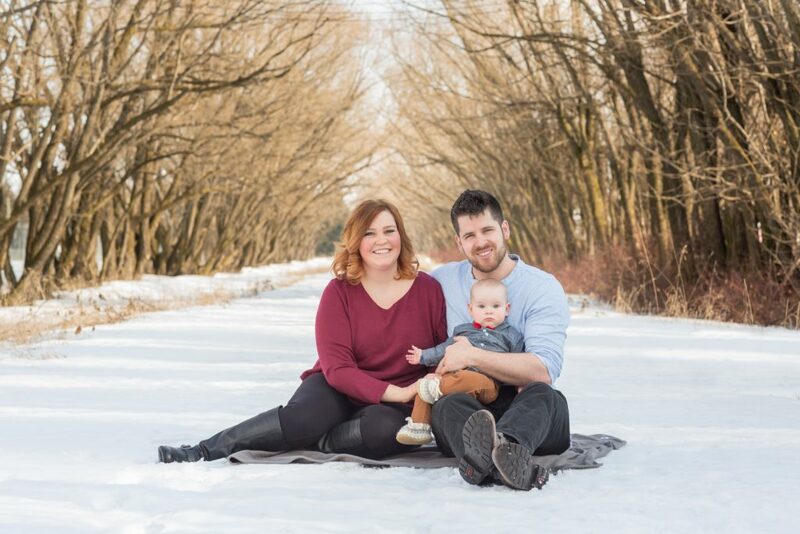 We chose a cozy sheltered tunnel of trees as the backdrop for this family portrait session. The fresh snow and canopy of trees created the perfect winter wonderland. Sarah and David brought their pup Merry along to join in the family portrait session. She was excited to play in the snow and a very proud big sister to her baby brother. We love casual family portraits, when everyone can come together and just be themselves. 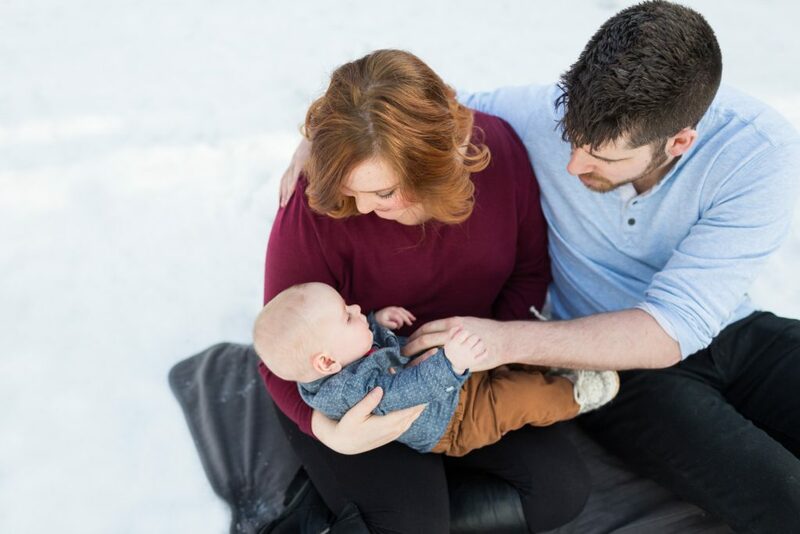 Our job to to help families relax and feel comfortable in front of the camera. The more comfortable you are, the more you can let loose and have fun. 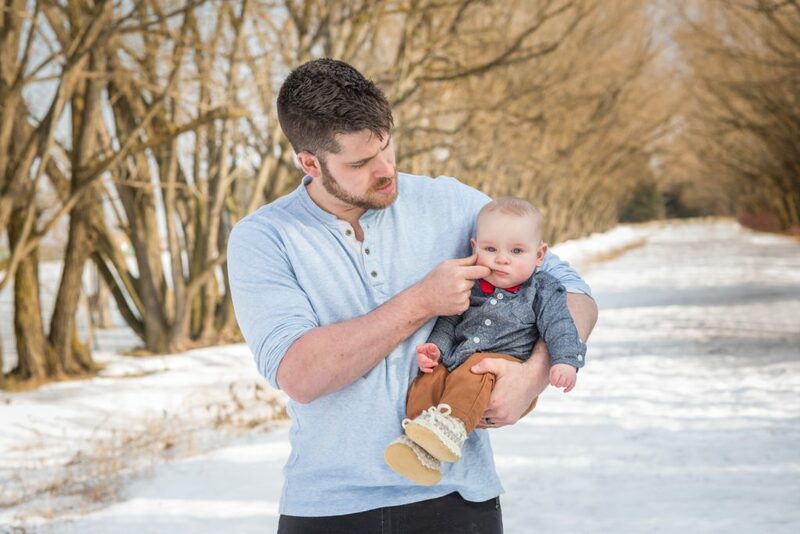 Your family photos are about you and your family sharing an awesome afternoon together. 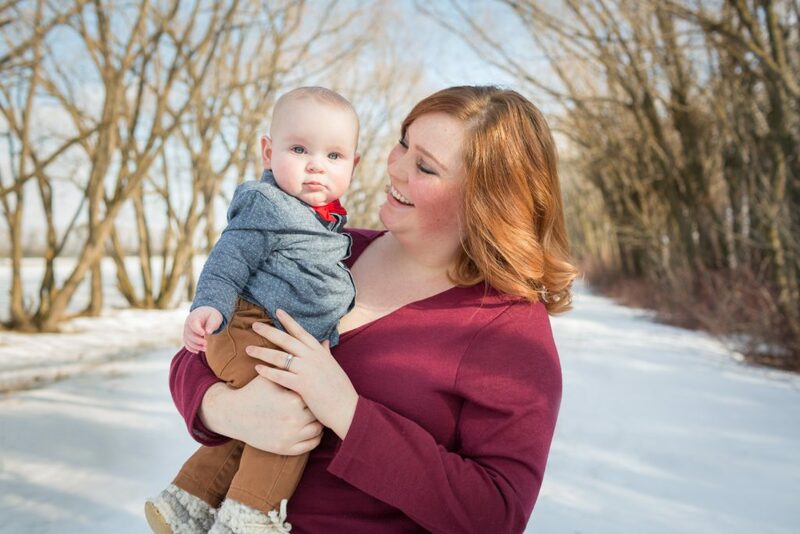 We are all about capturing those sweet, joyous moments between you. So give your kids a big hug, smile your biggest, goofiest grin and leave the rest up to us! Even their dog Merry joined in for some family photos! 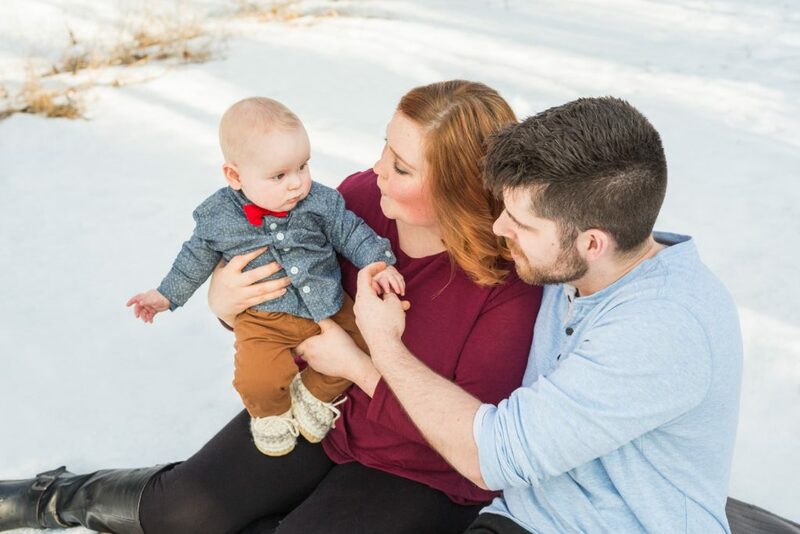 Thank you for inviting Deep Blue Photography to capture your adorable Edmonton winter family photos. To see more amazing family portraits please check out our portfolio!